Do you dream of having the perfect swing in golf every game you play? Have you perfected your swing at the driving range but have trouble during the game? If so, you’re not alone, and many golfers go through this frustrating issue. What was the difference between having a great round of golf and just an okay one? When you had great golf scores, what set that game apart? The answer is your mindset. When you’re playing well, you’re having fun and enjoying your golf game. This lets you get the perfect swing in golf that gets you those high scores. 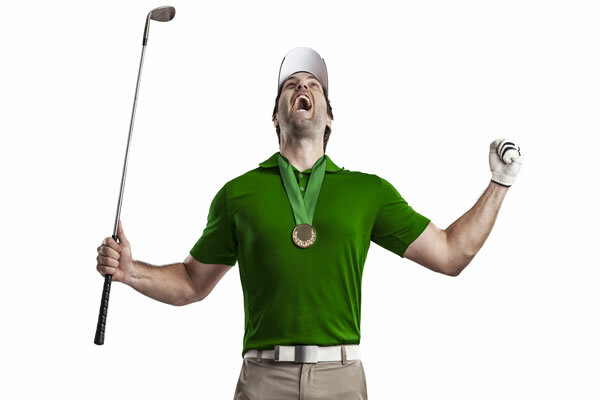 You can read on to find out how to achieve a golfing mindset and improve your game. What do professional golfers have that lets them play great rounds of golf? Practice and experience matter, but they have also developed their golfing mindset. This mindset allows the professional golfers to make the most out of their golfing abilities. It also allows them to hone their abilities and take their golf game to the next level. Developing a golfing mindset can mean the difference between an average round of golf, and a round of golf that you remember forever. A golfing mindset means that you have a calm and focused mind. You’re confident that you’ll do well, and this can naturally enhance your swing. It won’t matter what types of conditions you’re playing in as your golfing mindset will help you achieve the perfect swing. The perfect golf swing allows you to get in your ideal golfing zone. Many golfers make the mistake of letting emotions like anger or anxiety ruin their games. These emotions sabotage the flow a golfer needs to get their perfect swing. Golf is all about being able to focus and being able to quickly and easily get into your golfing zone. Our hypnotherapy program gets you to focus on the process of your golf swing and not the outcome. When you are playing at your highest level, all of your thoughts on possible outcomes and results will disappear as you focus on the process. Want to have the perfect swing? And start focusing like a golf pro!